Flavius likes to be part of teams that make things happen. 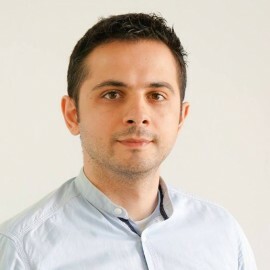 At Syneto, he leads the efforts of the engineering team producing the hardware design and operating system of the company’s data storage products (Illumos, C, PHP, ZFS). As an agile coach for Mozaic Works, he worked with tens of teams sprinting, stumbling or going in circles on their path to agility. He cares deeply about creating environments that encourage the heart and challenge the mind. His current interests are containers and big data analytics.